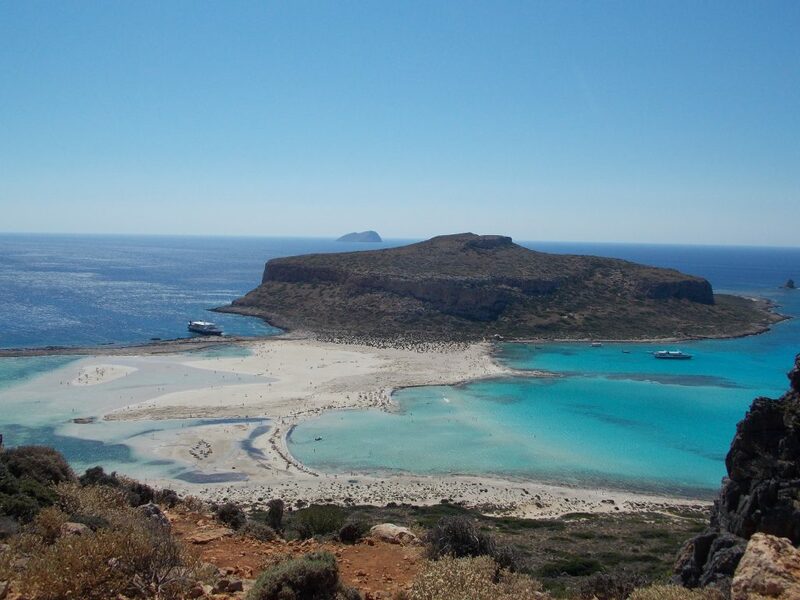 Crete island is heaven in the Mediterranean sea. It’s wild, it’s genuine, it’s wonderful. While preparing this post I was wondering whether it would be appropriate to share my first-hand experience in the island and reveal valuable info about its hidden spots or it would be maybe better to shut up for the sake of preserving those places. “What if I describe everything I saw and then the next time I’ll go I will only find resorts?”I said to myself. Then I realized it was a bit of an ambitious thought, as this blog will probably have 3 readers: 2 of them will never ever travel and the third one is my mum. 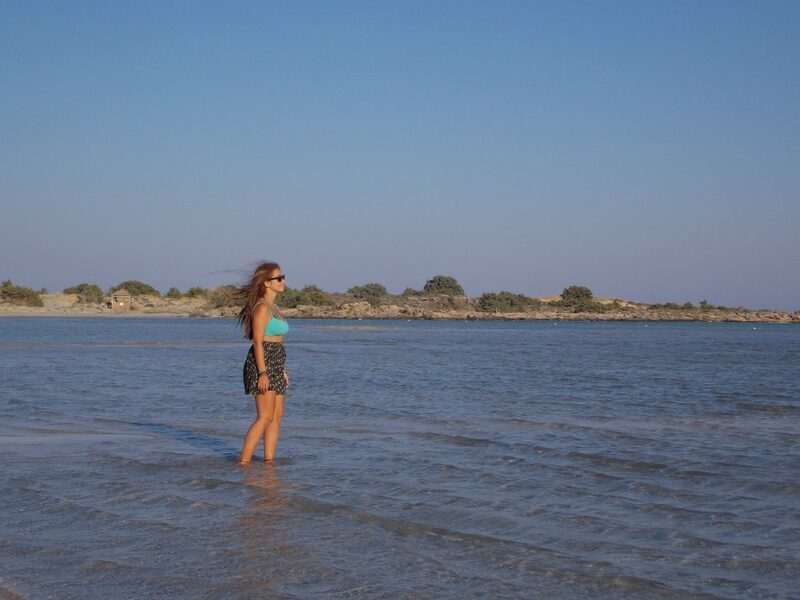 So here you have some recommendations about the best beaches in Crete and some good spots where to do free camping. If you go to Crete by plane (unless you live in Santorini, you will definitely go by plane) you will land in Heraklion. Heraklion doesn’t have too much to offer, so I suggest taking a bus and go to Chania (2 hours). Chania is very touristic, it has a vivid city center and many people spend there quite some time. However, I recommend to spend there one night only, as we did. Around there you can easily rent a scooter, car or quad. We opted for the quad and we went right away to Mithimna camping, where we stayed 2 nights for a derisory amount of money (10 euro). From there we went to Balos. The dirt track that leads there is quite curvy. It was okay with the quad but I am not sure it would be the same with a car. Anyway, it was worth it! As you may reckon from the picture, it was something out of this world. After a day spent splashing around, I suggest, on the way back, to go to Gramvousa tavern. You will probably get out of it rolling, but at least you’ll be happy. Since we are talking about food, I need to recommend also Arxontas tavern, which is also around there, where you will not have a light meal probably but you’ll really enjoy it. 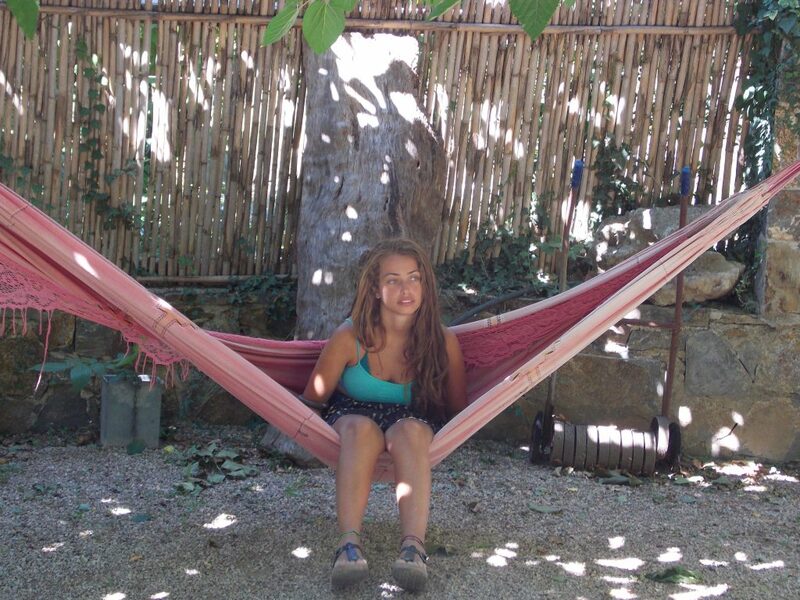 They even have those nice hammocks where you can crumble shamelessly after lunch. 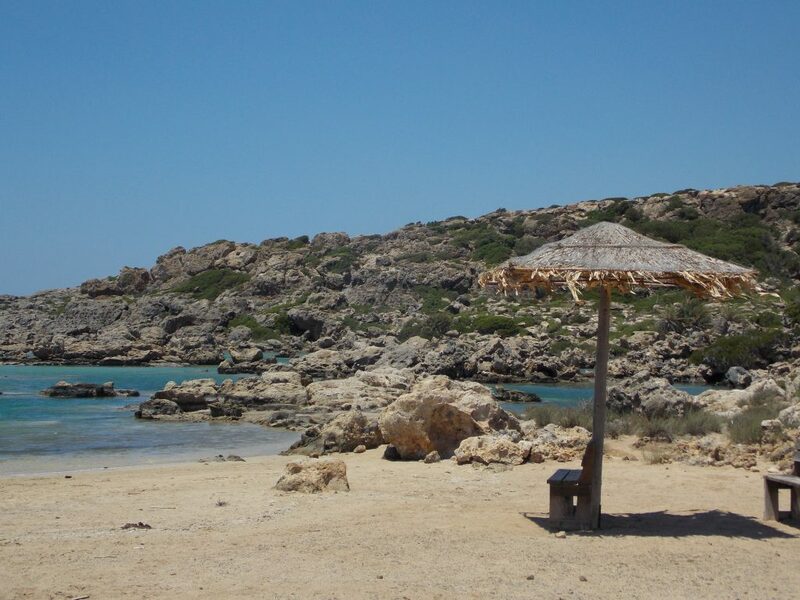 As you go further southwards, you will first find the Agia Sofia caves, where you can cool down a bit, and then the famous Elafonisi beach (see first photo). Apparently, this beach is famous for its pink sand. When we were there though, we saw barely 20 pink sand grains, so I wouldn’t say pinkness is the best quality of this beach. It can get crowded at peak times and it’s equipped with sunbeds and beach ombrellas, so it’s not really a wild beach. Before getting there we had spotted a hidden gem, called Aspri Limni. That was a different story. But our real destination is Kedrodasos, where we had decided to camp. There is only one small detail: there is no camping! In the majority of Europe it is forbidden to do any free camping (that is when basically you set your tent for free on a beach or wherever you want). Actually it is also forbidden in Crete. 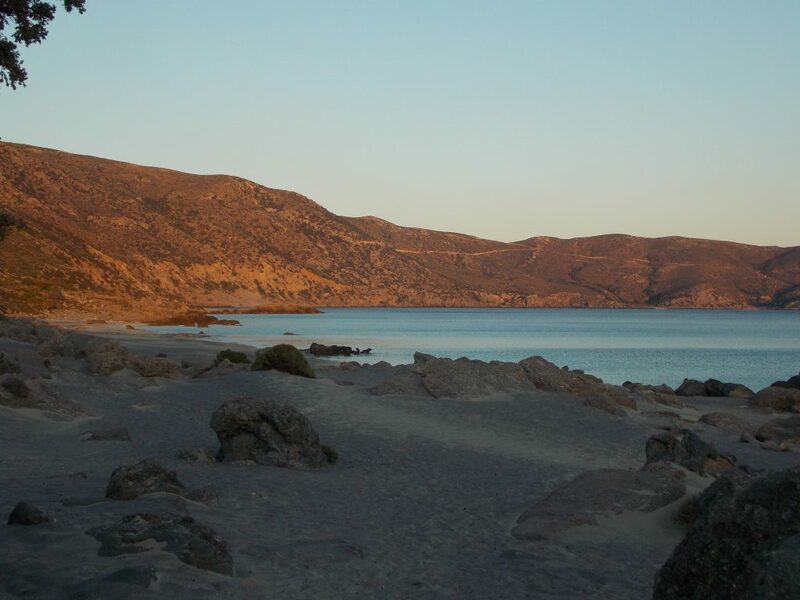 However, this is one of the places where, aided by its remoteness and a slight tolerance from the frightening Greek police, it’s easier to camp freely without having someone to come and rain on your parade. It can happen that you are unlucky enough to be there on the one-time per year they go there to make a check and get a 500 euro fine. You might think it would have been better to spend that money on a hotel. But how can you compare a hotel with the experience of camping here? We spent 3 nights in Kedrodasos. We parked our quad on the top of a hill and carried on walking for half an hour. Obviously you need to bring everything you need: water, food, etc. 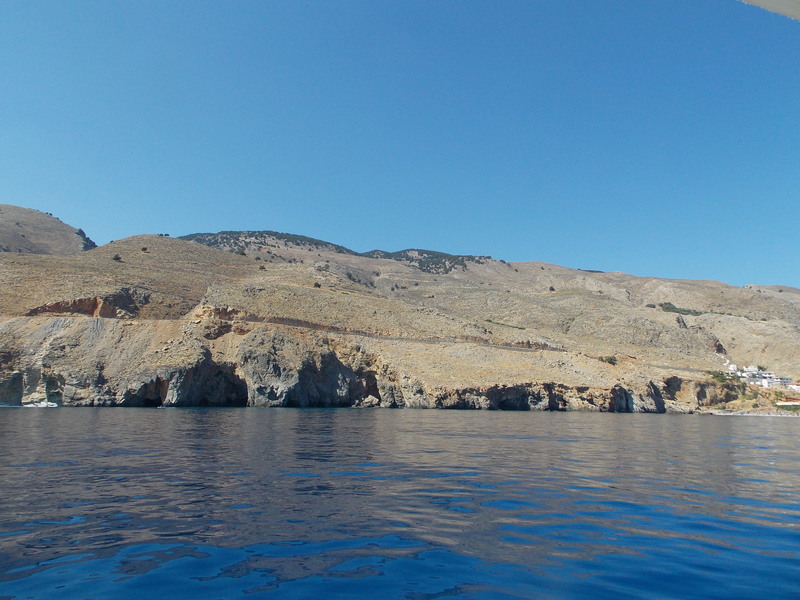 When we managed to leave Kedrodasos we returned our quad and went by bus to Sfakia. It’s a small village on the sea from which we took a boat to go to Glika Nera. The latter is not an island, however as there is a steep mountain on its back, it is impossible to reach it by land. We set our tent again and we stayed 2 nights. 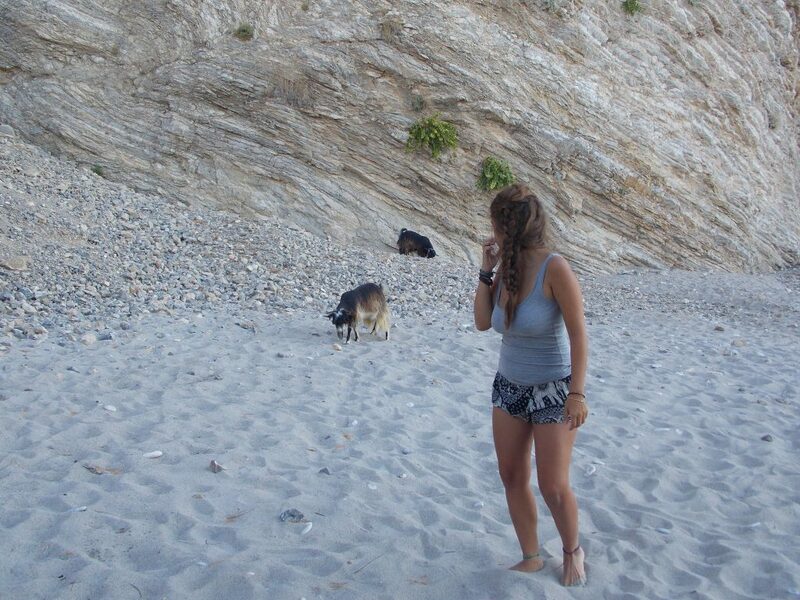 The beach is gorgeous, there are many goats and even a small tavern in the middle of the sea. When it was time to go, we got back to Sfakia and we got into a bus headed to Rethimno. Rethimno isn’t a beach but a small city. It’s very pretty, it has a lively ennviroment and a castle with a view I enjoyed very much. 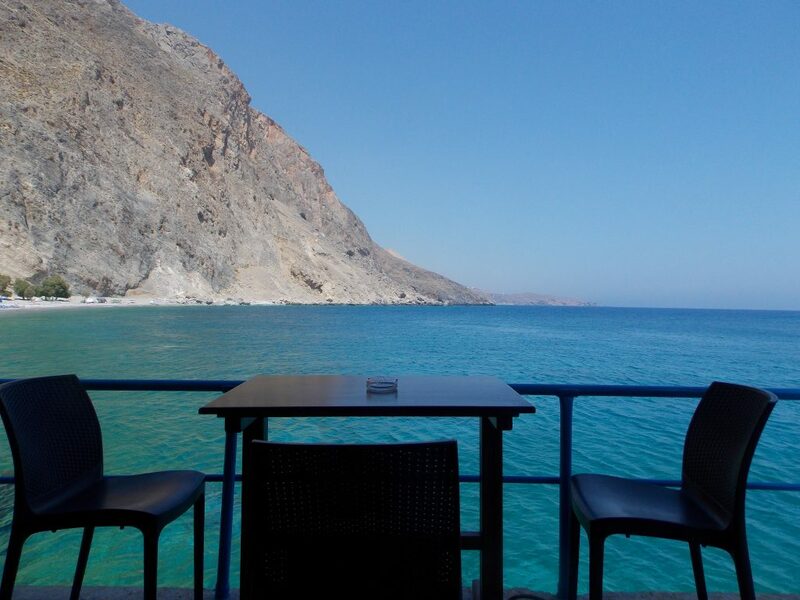 I will go back to Crete and visit the Eastern side next time. It’s the best Greek island I have been to (I have seen quite a few of them so far). We are about to head to Crete for a camping roadtrip. This post is really helpful! (and we promise we won’t build any resorts.) Is Kedrodasos accessible with a normal car? Would you mind sharing the price range of the 4-wheeler rental? And also, when you left Kedrodasos, did you have to return the 4-wheeler in Chania, or was there another location near Kedrodasos that you were able to return it to? Thanks! Hi Megan, I am very sorry for my late reply!! The price was about 30 euro per day. We returned it when we took it (Platanias, near Chania). As far as I know, it’s not possible to return it to a different location from where you took it (or if there is this option, it would be much more expensive).